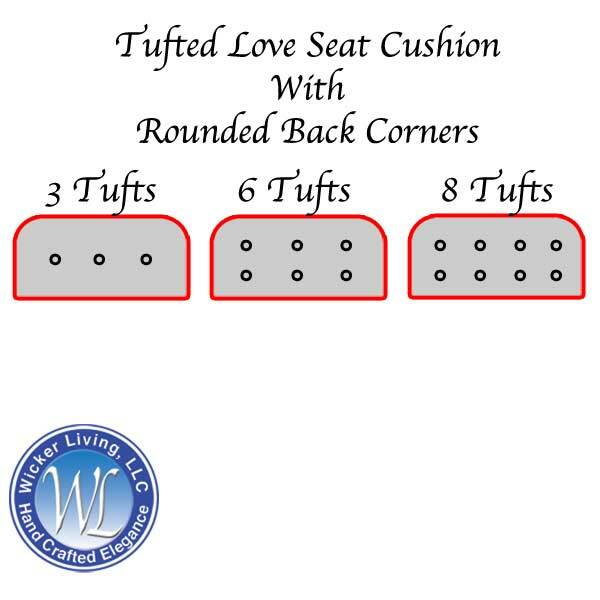 Our Deluxe Tufted Love Seat Cushions Are Made In The USA! This is an indoor settee or outdoor patio tufted love seat cushion that looks and feels great and lasts a long time. This is the same size and kind of cushion used for porch swings. 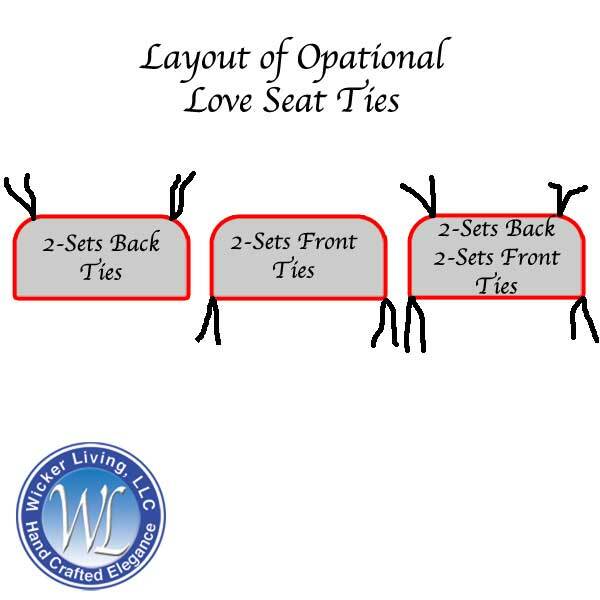 Quality crafted love seat cushion designed with rounded back corners to fit most common wicker patio furniture and other popular outdoor settees and porch swings. 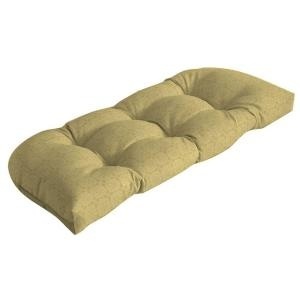 Cushions are tufted with sewn circles and filled with pure spun polyester for your comfort. Back corners are rounded to conform to shape of furniture. Choice of Fabric: Choose only 1-Fabric. Choose “No Thanks” for all other fabric types.